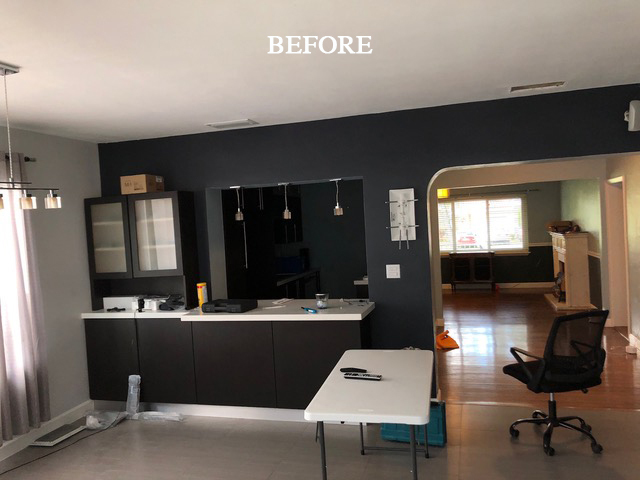 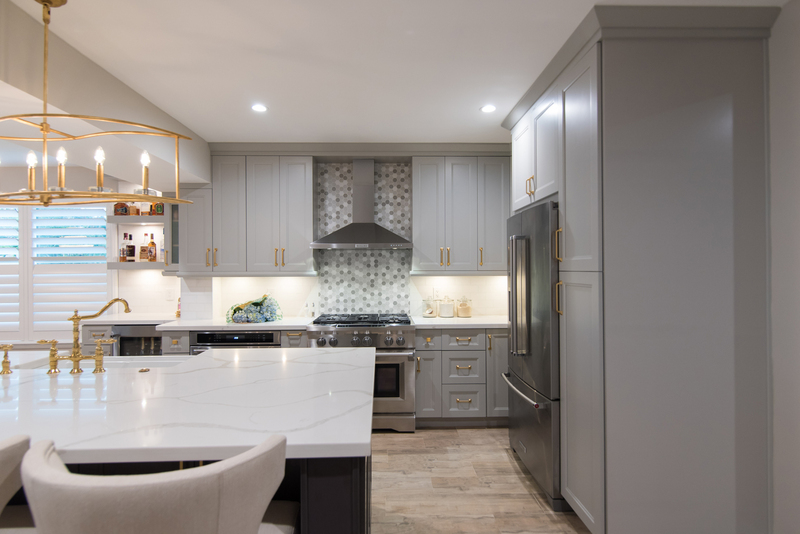 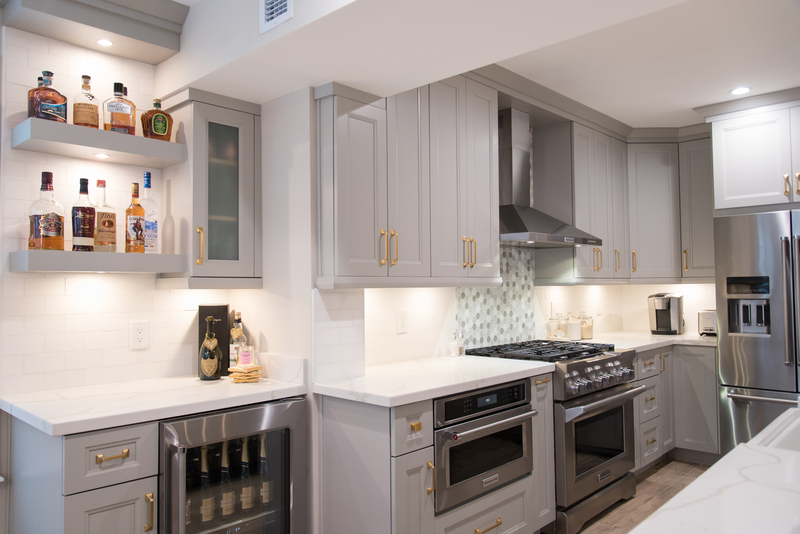 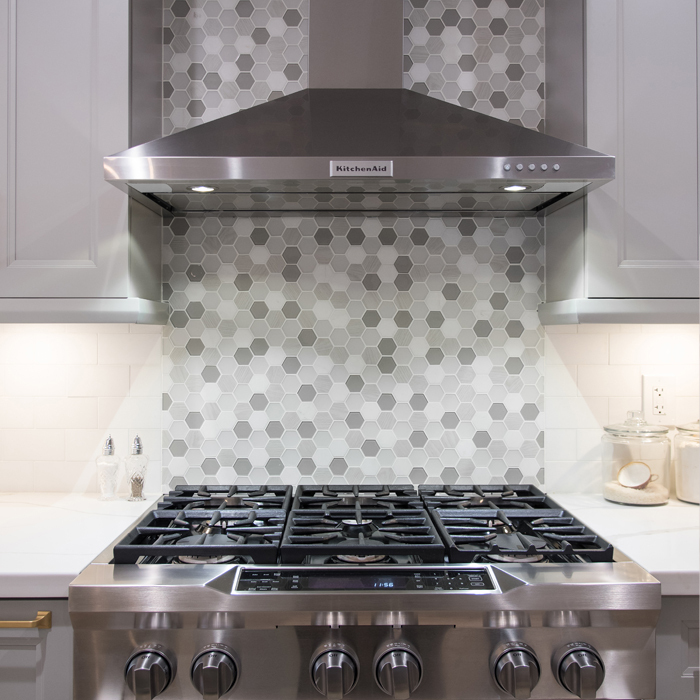 KabCo provided a complete overhaul of this space by incorporating streamline construction and a classic kitchen design. 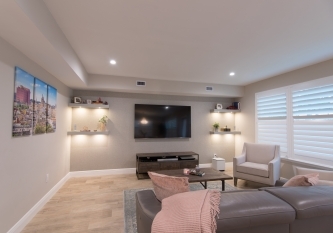 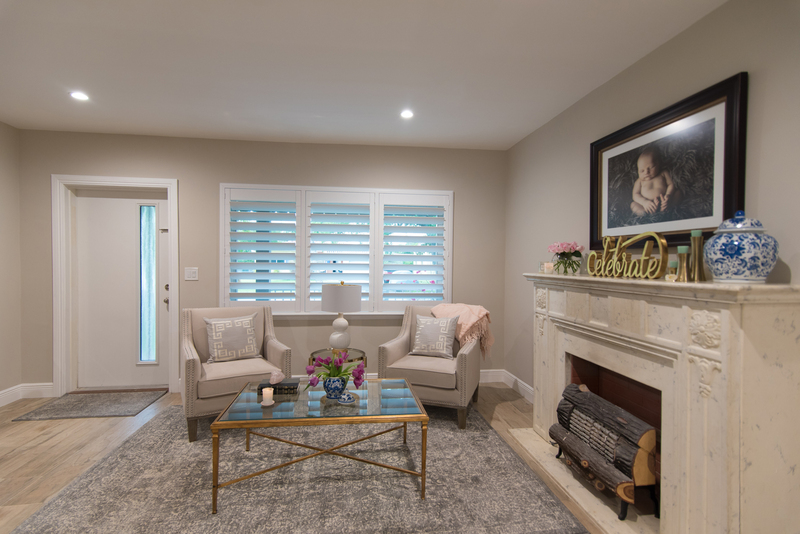 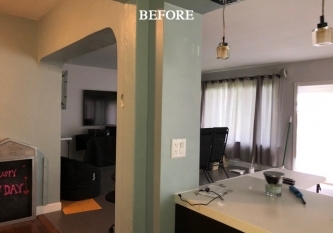 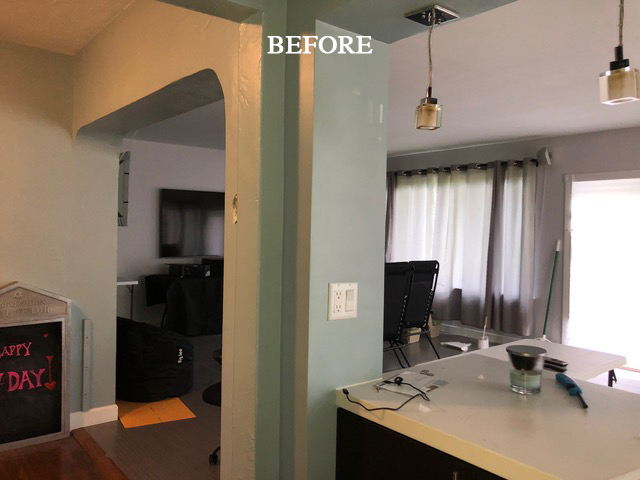 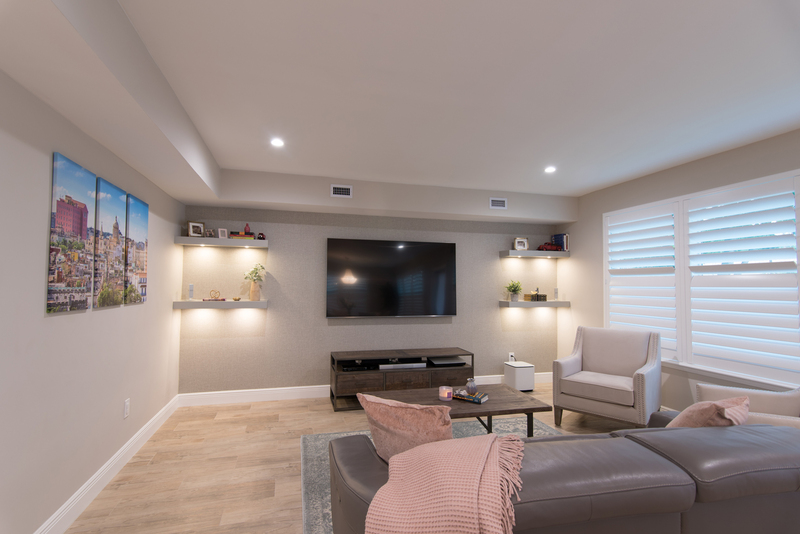 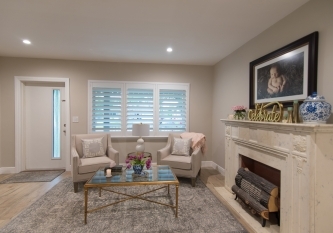 We addressed floors, walls and ceilings to accomplish this complete transformation. 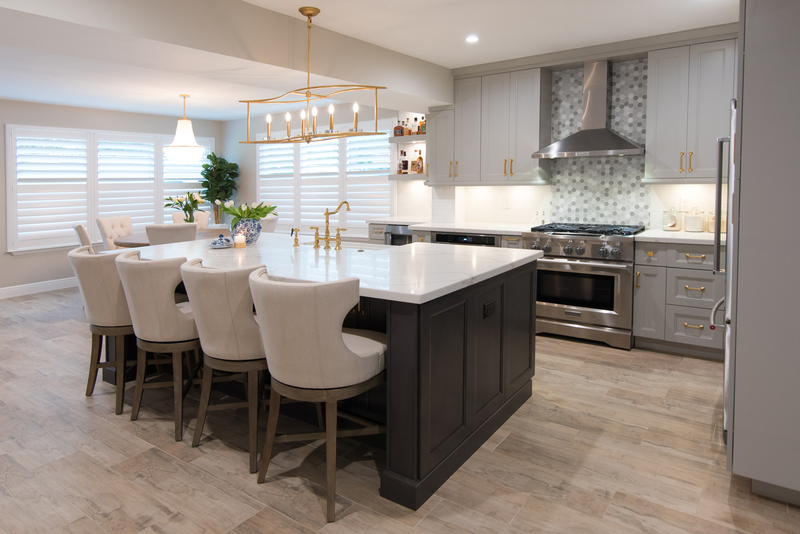 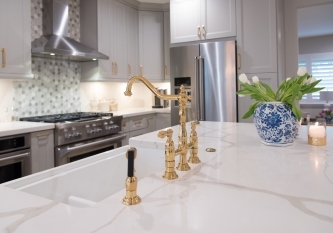 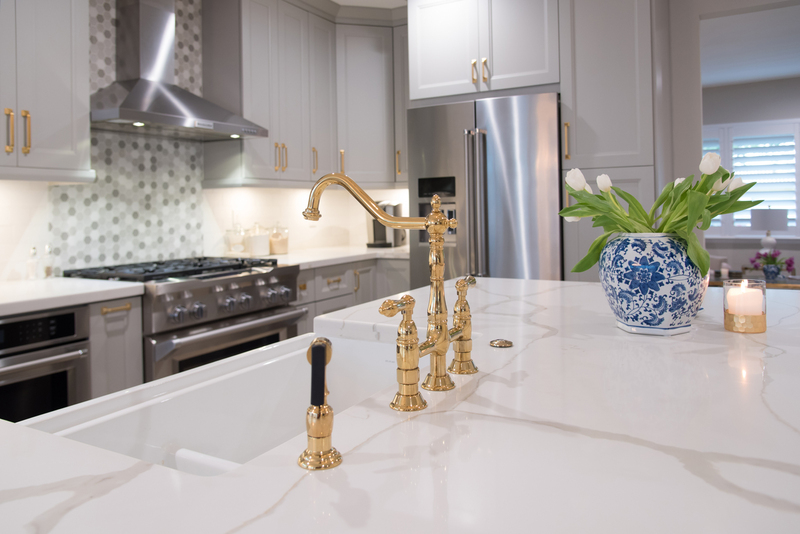 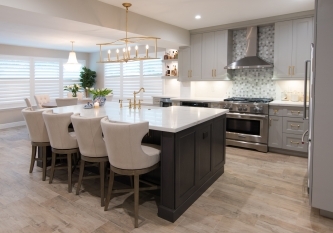 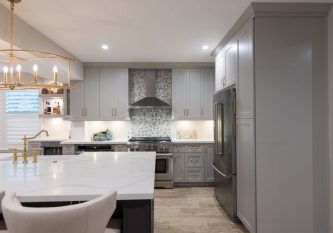 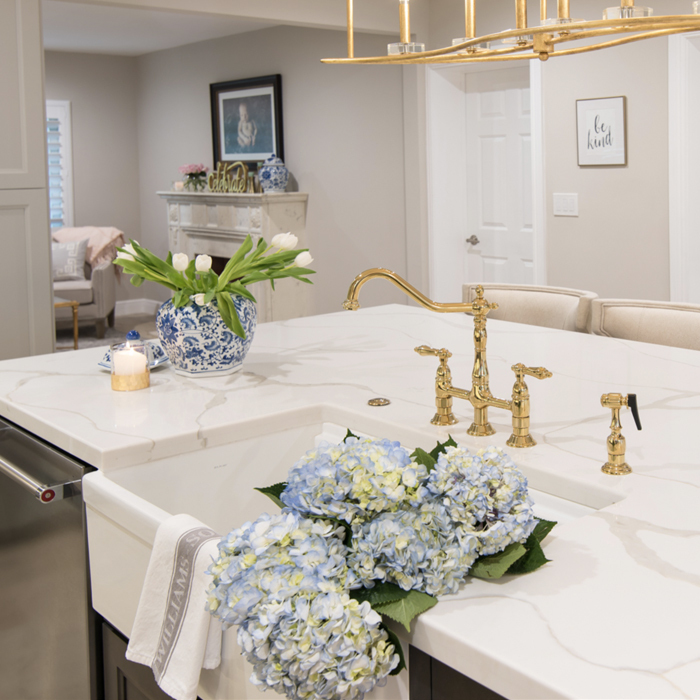 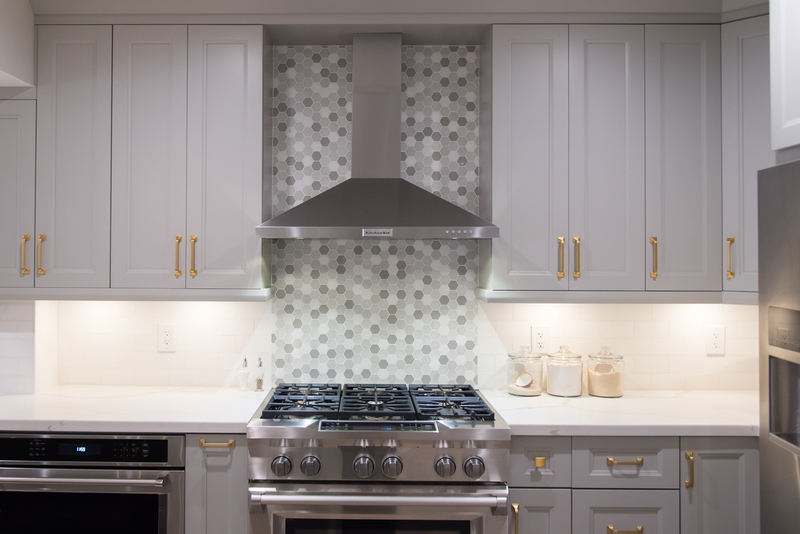 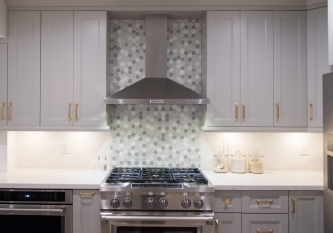 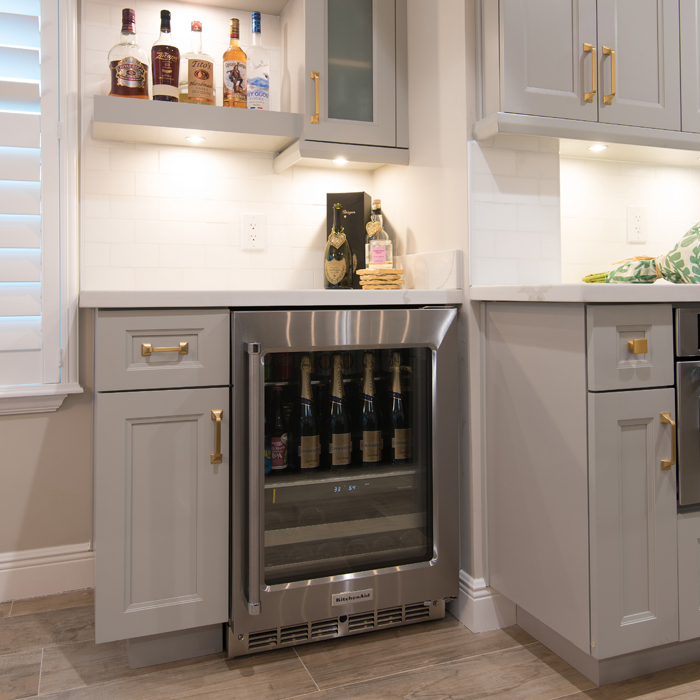 The beautiful new kitchen features two-toned semi custom cabinets, quartz counters and brass hardware. 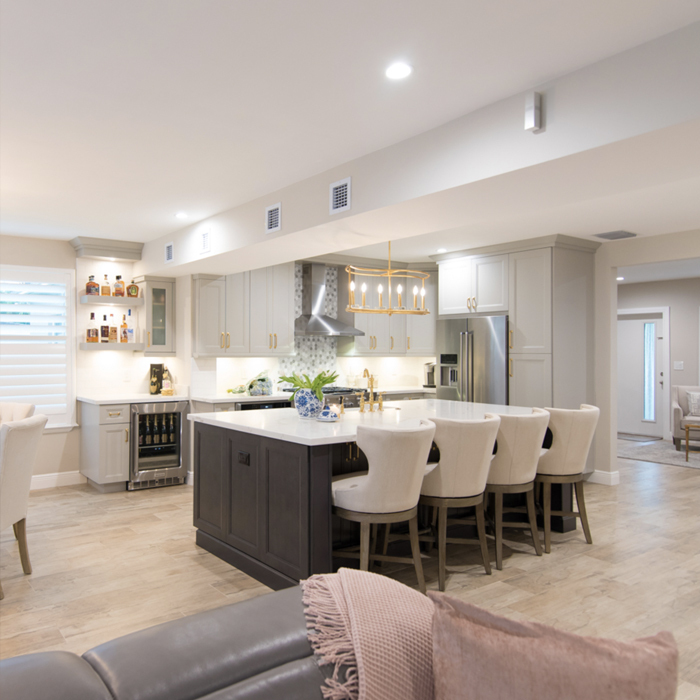 The improved layout allowed for an oversized island with seating for four and an extended kitchen with wine bar.